Oaxaca—Since the killing of 11 demonstrators at a street blockade in the Oaxacan town of Nochixtlán on June 19, Mexico has been in an uproar over the use of force against teachers resisting corporate education reform. As the Mexican school year is starting, teachers and supporters in four states have refused to return to classes until there is a negotiated agreement to change the government’s program, and until the perpetrators of the Nochixtlán massacre are held responsible. The government says it will not negotiate, and Mexico’s corporate leaders are demanding that the government use force to suppress the teachers and reopen the schools. The danger of further bloody confrontation is greater than ever. Mexican President Enrique Peña Nieto declared: “There will be no more dialogue if we don’t guarantee beforehand that children can receive an education in their classrooms, which today are closed. First education, then dialogue.” Enrique Enriquez Ibarra, general secretary of Sección 9, Mexico City’s teachers union, responded that for a year teachers had tried negotiating with the government while continuing to stay in their classrooms, but the government didn’t budge. “Today we no longer believe in classes first and then dialogue. The teachers strike will continue,” he warned. Mexican business interests began proposing changes to the country’s education system over a decade ago, as part of a series of economic reforms that have privatized much of the country’s economy and rolled back rights and protections that workers and farmers won decades ago. Supported by education reform groups in the United States and by the US Agency for International Development, these corporate reforms concentrate on standardized testing for students, and especially teachers. Testing is then used to eliminate educators’ job security and punish militant resistance. Heading the push for corporate education reform is Claudio X. González, scion of one of Mexico’s wealthiest and most powerful families. He heads Mexicanos Primero (Mexicans First), the voice of the country’s right-wing ed-reform lobby, whose program for reform was pushed through the Chamber of Deputies three years ago. Last year, as the government began implementing the tests, thousands of teachers refused to take them. In limited job actions, many refused to report to classes. When resistance mounted, the government began arresting CNTE leaders. (For more on how the conflict developed this past spring, see Bacon, “Why Are Mexican Teachers Being Jailed for Protesting Education Reform?”) Adding fuel to the indignation were demands by González that the teacher-training schools, or “normals,” be abolished and replaced with private institutions (fresh in the memory of Mexicans is the disappearance, and probable murder, of 43 students at a normal in Ayotzinapa, Guerrero, two years ago). On March 22, Education Secretary Aurelio Nuño Mayer proposed a measure that would eventually fulfill González’s goal of eliminating them. 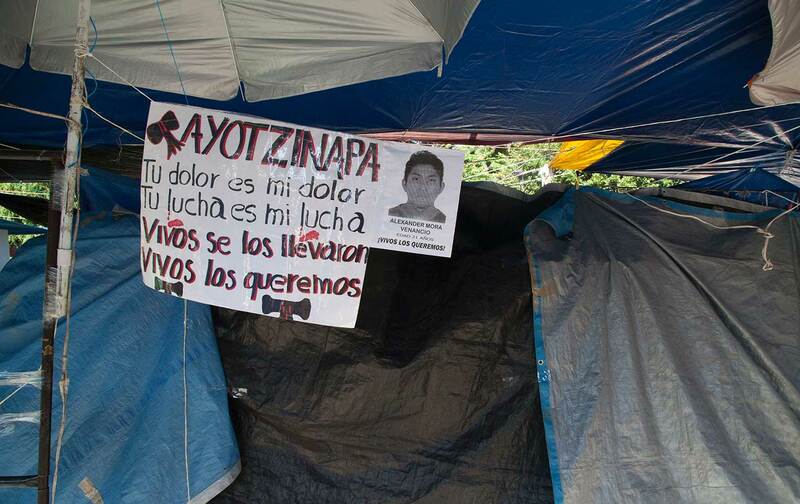 After the two top leaders of the union in Oaxaca were arrested, police fired on demonstrators at the blockade in Nochixtlán, killing eleven and wounding dozens. 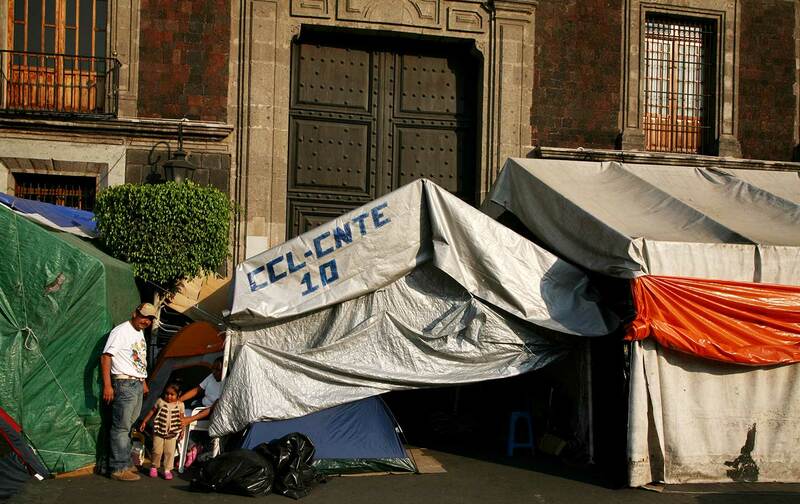 People in Oaxaca and throughout Mexico reacted with outrage. A protest march in Mexico City, organized by the left-wing MORENA party (National Regeneration Movement), headed by former mayor Andrés Manuel López Obrador, drew over 100,000 participants. More streets were blockaded, especially (but not only) in the four states, and plantóns (occupy-style encampments) sprang up in commercial centers targeting big enterprises like Wal-Mart, Bimbo, and Coca-Cola. In July, the Secretariat of Public Education announced it would not proceed further with the firing of thousands of teachers. And on August 13, two teachers finally walked out of prison on bail, the last of seven prisoners held in federal custody (other teachers remain in jail in different states, however). While the Peña Nieto administration was forced into negotiations with the CNTE, it continued to say that changes in its education reform program weren’t up for discussion. Ibarra, of the Mexico City CNTE, responded that teachers would not back down and would keep developing an alternative democratic education plan. Teachers have not simply gone on strike or organized demonstrations and street actions. They have recognized that Mexico’s schools do need change, and have proposed a series of reforms of their own, called “democratic education.” The most advanced of these proposals, the Plan for the Transformation of Education in Oaxaca (PTEO), was actually implemented in Oaxaca in the first years of the administration of its current governor, though he eventually gave way to federal government pressure to scrap it (see Bacon, “US-Style School Reform Goes South”). In Mexico City, Claudio González refuses to allow any possibility of changing the government’s testing program. He warned Peña Nieto the week before the start of the school year that he would take any agreement made with the CNTE to court to have it overturned if it changed the reform program he has sponsored. He also called on the president to use force to open the schools. “If it is determined that this is what has to be done in defense of the right of children and other affected citizens, then it must be done,” he told the media. González was backed up by the Business Coordination Council, which called the CNTE teachers “a minority group impeding the daily life of millions of Mexicans.” Enrique Solana Sentíes, president of the National Confederation of Chambers of Commerce, filed suit against the CNTE, accusing it of “acts that have violated human rights, principally in denying the right to education of children.” He is seeking a court order to force the federal government to uproot the blockades, which he says have cost businesses 7.5 billion pesos. 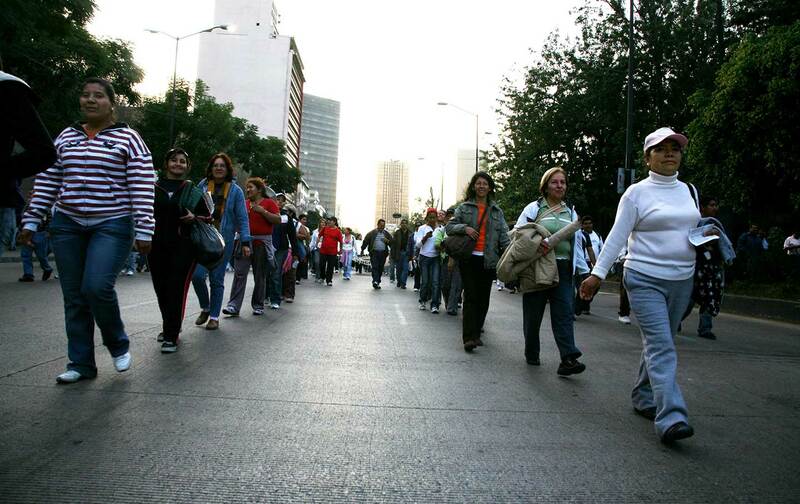 Corporations themselves organized a “business strike” against the teachers on August 8. The week before the schools were set to open, that polarization erupted in one small Oaxacan town, La Luz Tenexcalco, in the municipality of San Miguel Ahuehuetitlán. Supporters of the PRI (Mexico’s governing Institutional Revolutionary Party) came to a meeting on the schools and demanded that the town expel striking teachers and bring in strikebreakers willing to teach, Rosales recounts. When heated arguments escalated, gunfire broke out. Teodulo Pavia Guzmán was killed and Miguel Herrera Pérez was taken to the hospital in critical condition.